The Northern Chamber Orchestra (NCO) has come a long way since it was set up in 1967. It now presents a successful, annual series of eight concerts at the Heritage Centre in Macclesfield, which attracts top-flight soloists. The 2018/19 season features: violinist Chloe Hanslip; pianists Martin Roscoe and Freddy Kempf; tenor Nicholas Mulroy; and our newest Artist in Association, cellist and baritone Matthew Sharp. The NCO has recently been appointed ‘Orchestra in Association‘ at The Stoller Hall, Manchester’s newest space for music and performance. We are also the ‘orchestra in residence’ at Buxton Festival, playing for its main opera productions, and now regularly gives orchestral concerts at Buxton Opera House and the Pavilion Arts Centre. Buxton Festival’s Artistic Director, Stephen Barlow, commented: “…the NCO, our own Festival orchestra, never ceases to amaze me with its ability to soak up pressure (three operas, always new to them, in varying styles), and deliver outstanding playing with care and love, and who are now as much an indispensable part of the Festival as all of us.” The Orchestra also performs across the North of England and is regularly included in Orchestras Live programmes across rural areas, including the Lake District. The members of the orchestra (approximately twenty in total) are distinguished chamber musicians who regularly appear as soloists. 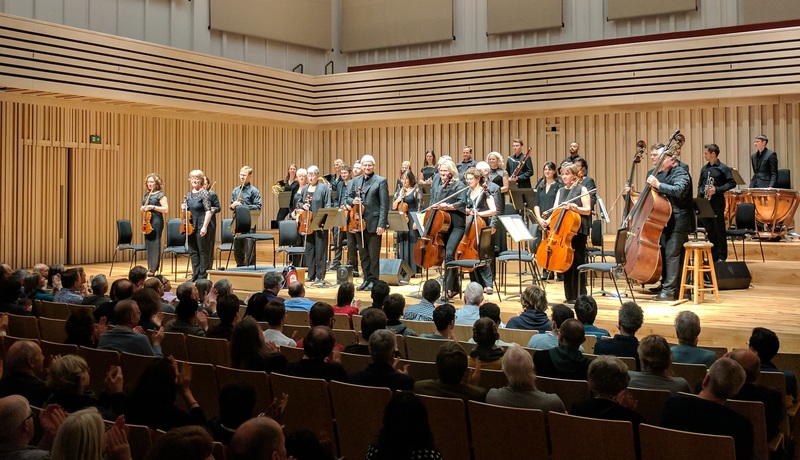 The orchestra collaborates with high profile organisations and individuals, such as the BBC, Buxton Festival, Orchestras Live, MMU Faculty of Education, Chetham’s School of Music and leading Music Hubs. It delivers an extensive learning and development programme with schools, colleges and music groups in many of the Orchestra’s concert locations; the NCO is the ‘Orchestra in Residence’ at Manchester Metropolitan University, Faculty of Education. The Orchestra’s ethos is to provide young people and adults with opportunities to engage with enjoyable and inspiring projects, which are tailor-made to meet specific needs. The orchestra is always keen to give emerging new artists performance opportunities, including a fourteen-year-old Jennifer Pike back in 2003! Its recent collaborations with Chetham’s School of Music have enabled talented music students to rehearse with, then share the stage with, NCO’s musicians as part of an ongoing learning and performance partnership. It has over thirty, critically-acclaimed recordings to its name and is known in every continent. While excelling in performing a wide range of repertoire, the NCO and its Artistic Director and Leader, Nicholas Ward, enjoy opportunities to premiere new works by contemporary composers, such as Adam Gorb, Anthony Gilbert and David Ellis.